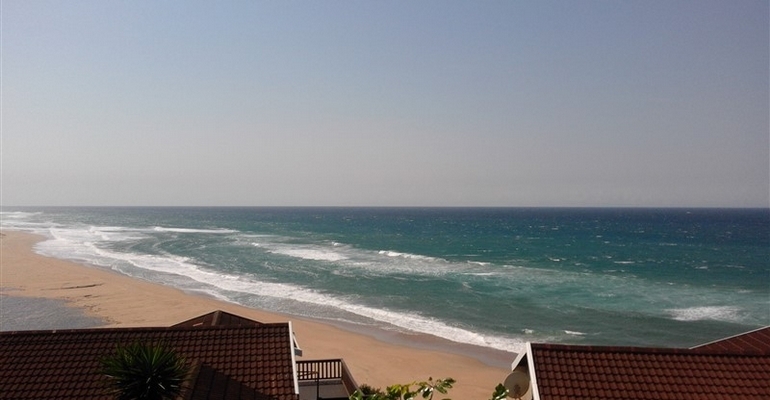 Vis 33 is situated in Mtwalume on the lower South Coast of KZN. This holiday unit has 3 bedrooms and 2 bathrooms that can accommodate up to 6 guests. The kitchen is fully equipped, with a washing machine and tumble dryer. This beautiful Holiday Unit is in a secure complex, with electric fence, automated sliding gate and secure enclosed open parking and 24 hour security. It has a beautiful private veranda with breaker views, enclosed garden with a cold water jacuzzi and braai facilities. DSTV is available at an additional charge of R40 per day. Guests are permitted to make use of the communal Swimming Pool, Tennis Courts and trampolines. The complex is a mere 8km drive to the Hibberdene beach and shops.